The genus Diaporthe (asexual state: Phomopsis) comprises pathogenic, endophytic and saprobic species with both temperate and tropical distributions. Although species of Diaporthe have in the past chiefly been distinguished based on host association, studies have confirmed several taxa to have wide host ranges, suggesting that they move freely between hosts, frequently co-colonizing diseased or dead tissue, while some species are known to be host-specific. They are also very frequently isolated as endophytes of seed plants. Due to their importance as plant pathogens, the genus has been thoroughly investigated for secondary metabolites, including during screening programs aimed at the discovery of novel bioactive natural products, but the respective information has never been compiled. Therefore, we have examined the relevant literature to explore and highlight the major classes of metabolites of Diaporthe and their Phomopsis conidial states. 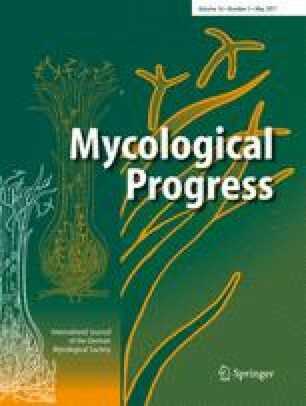 These fungi predominantly produce a large number of polyketides, but cytochalasins and other types of commonly encountered fungal secondary metabolites are also predominant in some species. Interestingly, not a single metabolite which is also known from the host plant has ever been isolated as a major component from an endophytic Diaporthe strain, despite the fact that many of the recent studies were targeting endophytic fungi of medicinal plants. A personal PhD stipend by German Academic Exchange Service (DAAD) and the Kenya National Council for Science and Technology (NACOSTI) to C.C. is gratefully acknowledged. We are deeply indebted to Ms. Asha J. Dissanayake, Institute of Plant and Environment Protection, Beijing Academy of Agriculture and Forestry Sciences, for providing the images in Fig. 1.